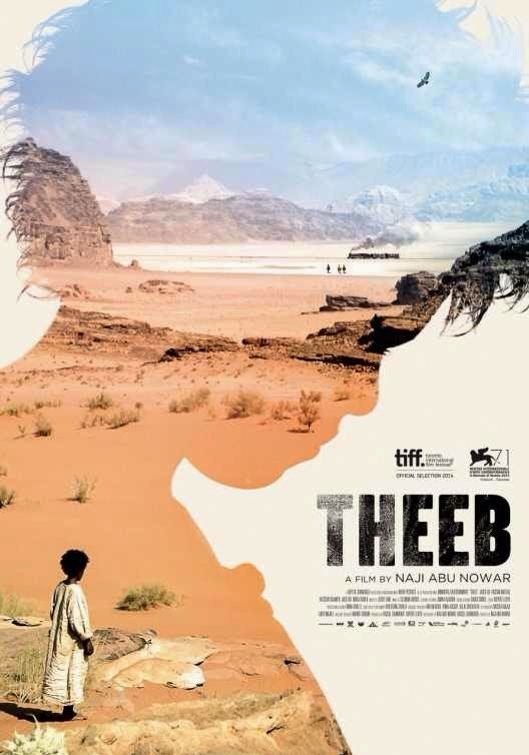 #MoviesMusicPlaysFilmFestivalsConcerts: SBIFF 2015: "Theeb (Wolf)"
This is a beautiful and visually stunning adventure film! I love it!!! Filmed in the classic western tradition, the movie features a thrilling story, magnificent photography and a wonderful, excellent performance from the young actor who portrays the titular character Theeb. The story is set during World War 1 and tells the courageous story of Theeb and his older brother Hussein as they to navigate this encroachment into their daily lives when a British officer came to their tribe for assistance to cross the perilous Hejaz Province, which was controlled by the Ottoman Empire, to get to the railway. On their way, they will face numerous obstacles culminating in an immeasurable tragedy. Set in a forbidding landscape, the movie shows the effects of modernization to the culture of the people that's suppose to benefit from this advancement. It begs the question of whether modernization truly benefits the people who have lived and nurtured the land or it only serves the selfish goals of outsiders trying to exploit the land. Everything is moot in the present but the question remains relevant and contentious to this day. I so love the final sequence showing the boy astride in his camel riding away from the camera, defiantly riding back to his village while a train is slowly cutting the screen, continuing in its advance to modern age. It's a powerful image that is both breathtaking and evocative. This is a masterpiece! Yes, cinema is evolving and the future of the western genre lies in the east!